Maximize client relationships across generations. Over the next 50 years, it is estimated that more than $41 trillion in assets will be transferred through the family tree. Are you prepared to capitalize on this client opportunity? So how do wealth management firms build meaningful relationships with not just their client, but also those who stand to inherit? United Capital Financial Advisers is one of the fastest growing wealth management firms in the country, with 400 employees serving more than 12,000 clients. With help from Salesforce, the company developed a unique system for getting to know clients and how they think about money, so advisers can provide more personalized counseling and financial plans. Using Salesforce Marketing Cloud, advisers get a single view of their customers’ profiles so they can tailor communications that are more relevant and timely. 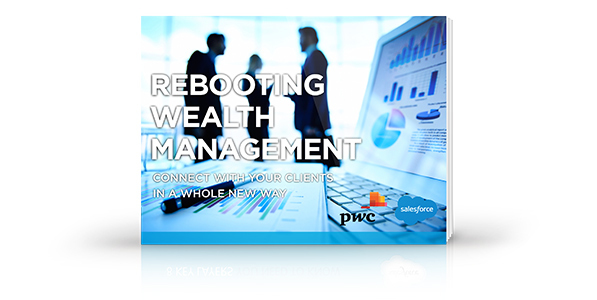 To download this case study and learn how Salesforce and PwC can help your firm maximize client relationships, complete the form above.